Come March, Northern-dwellers have had it with winter weather, making Florida a suitable vacation destination to escape the cold. And while the weather is relatively mild during this month, mid-70 F temperatures feel like tropical warmth to those just shedding down jackets. Spring breakers can enjoy Daytona's famous Bike Week or party down at SeaWorld's Bands, Brews, & BBQ event. Families can relax beachside or take the little ones to Disney Word. There's no shortage of fun during the month of March in Florida. And even if that occasional cold front moves through, you'll still be toastier then if you stayed at home. Throughout the month of March, spring temperatures move into Florida and it begins to warm up. However, during the first few weeks, you can still expect a cold front which can bring storms with gusty winds and the rare possibility of a tornado. Even still, this is the perfect time to visit a theme park when the crowds are nil and the temperature is bearable. If the beach is your prime destination, however, save your trip for the end of the month when temperatures in Daytona Beach, West Palm Beach, and Key West average in the mid to high 70s. Water temperatures in the Gulf of Mexico, as well as in the Atlantic Ocean (East Coast), will range from the low 60s to middle 70s around this time too. Cities like Tampa, Miami, and Orlando should also be experiencing 70 F air temperatures. But in general, the later and lower down you go, the warmer the weather will be. SeaWorld's popular Bands, Brew & BBQ event rocks the theme park on Saturdays and Sundays throughout March. And this perfectly coincides with the staggered college spring breaks throughout the month. Enjoy live performances from rock and country acts, as well as real Southern barbecue fare and craft beers. Harley-Davidson lovers and those looking for an authentic (and timeless) party scene will enjoy Daytona's notorious 10-day motorcycle rally. Bike Week festivities include motorcycle racing, concerts, parties, and street festivals. The people watching is phenomenal as over 500,000 riders and spectators descend on Daytona Beach. Book your lodging reservations well in advance to assure a front-row spot at the affair. Artsy college kids can enjoy a more subdued atmosphere at the Miami International Film Festival. (And, who knows, you may even bump shoulders with Hollywood stars.) This Southern Florida event showcases the hottest movies from a variety of genres and countries. Movie buffs can hit the beach during the day, and then enjoy several movie showings and the rocking Miami Beach nightlife after dark. 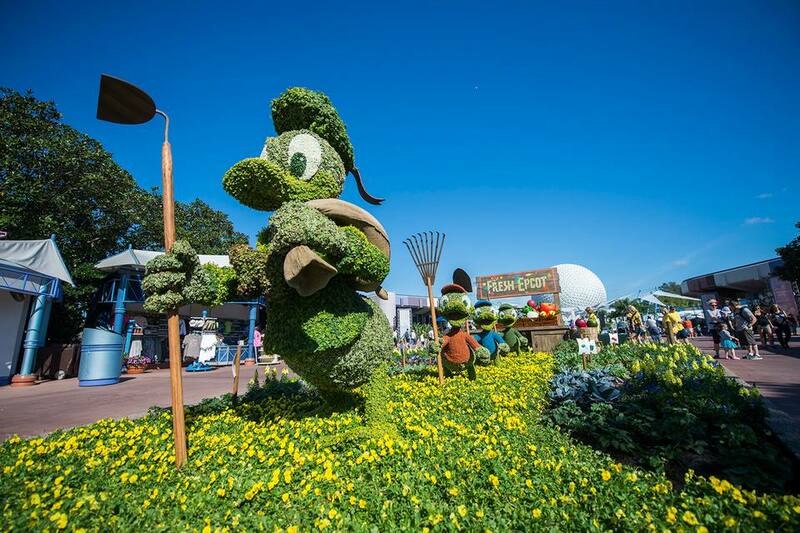 Gardeners will love the Epcot International Flower and Garden Festival which starts in March and culminates in May. Roses, wildflowers, topiaries, and herb gardens flourish for a seven-week span that is absolutely breathtaking, promising 30-million blooms. This is a great time to visit the theme park too, as the lines for rides will be at a minimum. Similar to a typical state fair, the Florida Strawberry Festival features rides, livestock exhibits, country entertainment, local food and, of course, strawberries, prepared almost any way you like them. This annual Plant City event is held around the first two weeks of March, perfect timing snow-bound folks to get their first taste of fresh spring produce. Enchanted craft villages, hundreds of period performers, and valiant knights take over Deerfield Beach for the Florida Renaissance Festival. Enjoy continuous entertainment, birds of prey showings, and food fit for a king during five consecutive spring weekends. With mild weather and the chance of a cold snap, you may feel unprepared packing only a bikini and flip-flops. And rightfully so, as bringing along at least one layering item, a light jacket, and sneakers will ready you for an unexpected weather shift. Mostly though, you'll be comfortable in shorts and sandals and "resort casual" clothing for dining out (unless, of course, you're attending Bike Week where "anything goes"). Pack comfortable walking shoes for everyone in the family if you're visiting a theme park. And don't forget your bathing suit, as March is the beginning of beach weather in Florida.